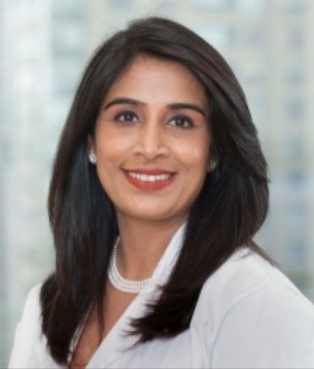 Encouraging findings with checkpoint inhibition, PARP inhibitors, and antibody-drug conjugates are steps forward in changing the outlook for patients with metastatic triple-negative breast cancer (TNBC), according to Komal Jhaveri, MD. Beyond the promising progression-free survival (PFS) data with atezolizumab (Tecentriq) combined with nab-paclitaxel (Abraxane) seen in the IMpassion130 trial,1 and the 2 FDA-approved PARP inhibitors olaparib (Lynparza) and talazoparib (Talzenna), 2 antibody-drug conjugates are also moving through the pipeline. The FDA granted a priority review designation to sacituzumab govitecan in July 2018 as a treatment for patients with metastatic TNBC who have received ≥2 prior therapies, based on phase II data demonstrating that the antibody-drug conjugate elicited an objective response rate (ORR) of 34% in patients with heavily pretreated metastatic TNBC.2 However, in January 2019, the FDA issued a complete response letter to Immunomedics, the manufacturer of the drug, regarding its biologics license application, identifying issues related to chemistry, manufacturing, and control matters. Ladiratuzumab vedotin, a second antibody-drug conjugate, demonstrated encouraging phase I findings in a study presented at the 2018 San Antonio Breast Cancer Symposium. In patients with heavily pretreated TNBC treated with a 2.5-mg/kg dose of ladiratuzumab vedotin, the estimated median progression-free survival (PFS) was 11.6 weeks.3 The estimated 3-, 6-, and 9-month PFS rates were 49%, 24%, and 10%, respectively. Some of the next steps in the TNBC treatment paradigm, Jhaveri said, include determining better predictive markers of benefit, exploring combinations with PARP inhibitors, and conducting larger trials of antibody-drug conjugates. In an interview during the 2019 OncLive® State of the Science Summit™ on Breast Cancer Jhaveri, a medical oncologist at Memorial Sloan Kettering Cancer Center, discussed the 3 major classes of drugs showing potential in the TNBC pipeline. OncLive®: The IMpassion130 trial showed the potential of immunotherapy in TNBC. Could you discuss that study? Jhaveri: TNBC, unlike melanoma, lung cancer, or renal cell carcinoma if you will, is certainly lagging behind when it comes to getting approvals for immunotherapy. But finally, we have some exciting data we heard at the 2018 ESMO Congress, which has now been published in the New England Journal of Medicine by Peter Schmid and colleagues from the phase III randomized IMpassion130 trial. This evaluated the role of first-line therapy for patients with metastatic disease who did not have any other treatment, and they either received standard of care nab-paclitaxel or atezolizumab in combination with nab-paclitaxel. The primary endpoint for this was PFS in both the intent-to-treat (ITT) and the PD-L1–positive subgroups. OS was also planned with hierarchal testing for OS for ITT and the PD-L1–positive groups. What we saw was exciting hazard ratios of 0.8, supporting the role of atezolizumab and [overall] the combination of atezolizumab and nab-paclitaxel in both the ITT and PD-L1–positive subgroups. While we saw a clinically meaningful improvement in OS in the PD-L1–positive subgroup, statistically significance could not be claimed due to the hierarchal testing for that group. Having said that, a 25-month median OS in the first-line setting is rather unprecedented and not trivial for this difficult and rather aggressive subtype of breast cancer. We are excited about these data. Do these findings pave the way for more immunotherapy regimens? These data are very exciting and the very first step forward for the role of immunotherapy for our patients with metastatic TNBC, but we have ways to go and millions of other things that we need to understand better. While in this trial, we saw that the benefit was more so in the PD-L1–positive group, but PD-L1 positivity itself is not really a very robust [marker], nor is it the only solution to a puzzle. It’s just a piece of the big puzzle of how to harness the immune system and unleash the immune system against tumors.